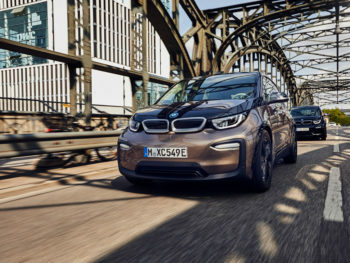 The full electric BMW i3 and more sporty i3s are now available with a near 200-mile range, while the company has quietly dropped the petrol range extender model from the line-up. With 42.2kWh (120Ah) the latest i3 battery is double the capacity of the original i3 – released in 2013 – yet remains the same physical size, ensuring no penalty in terms of interior occupant space. The newly increased battery capacity also heralds the i3s move to full electric power, with the petrol range extender model being removed from the line-up. Range extender equipped models accounted for roughly half of i3 sales between 2013-14. The lithium-ion battery offers a WLTP-rated range of 192 miles. 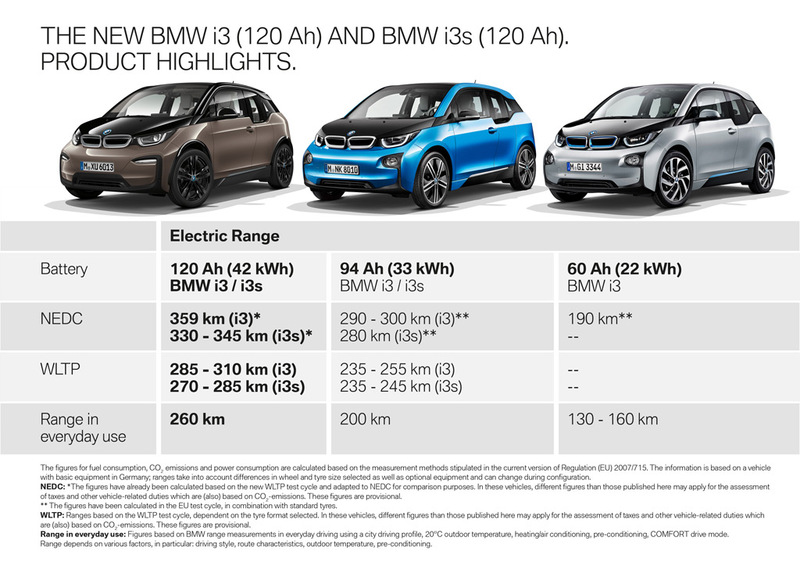 The official range of the BMW i3 is 223 miles (previously 180 to 186 miles) and for the BMW i3s, a range of 214 miles (previously 174 miles) – on the NEDC test cycle. However, BMW states that during everyday use, both models can cover 160-miles, which is a 30% increase over the previous 94Ah models. Due to the increased battery capacity, charging time is longer with 0-80% charge taking 4.9 hours using a 7.4kW wallbox and 15 hours using a three-pin socket rated at 2.3kW. Rapid charging using the CCS port at 50kW is estimated at 42 minutes to reach 80% charge. In addition to the increased range, BMW has added new colour options and adaptive LED headlights with an anti-dazzle function, which automatically dips the high beam in one of four areas, keeping it on in the rest of the beam, yet without blinding on-coming traffic. Wireless charging and wireless hotspot will also be available as options. 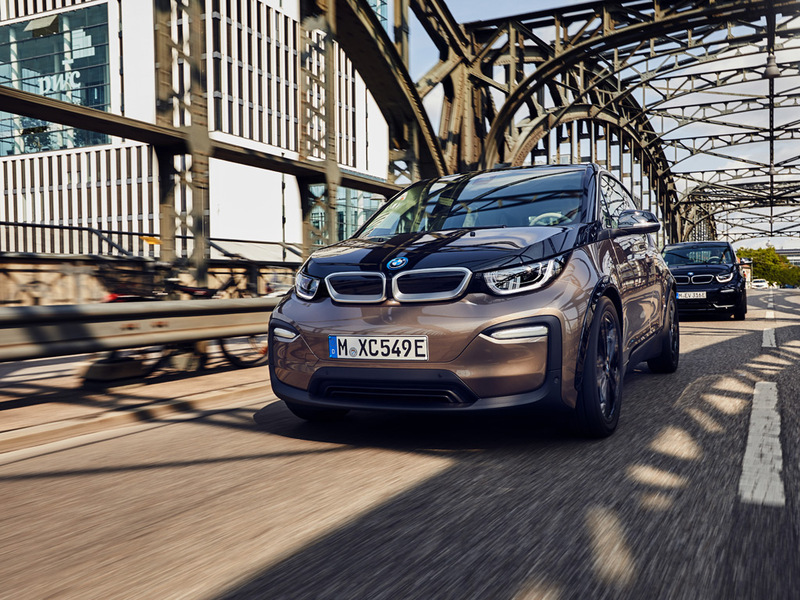 The rest of the specification remains unchanged, with the now familiarly quick 0-62mph sprint taking just 7.3 seconds in the i3 and 6.9 seconds in the i3s.